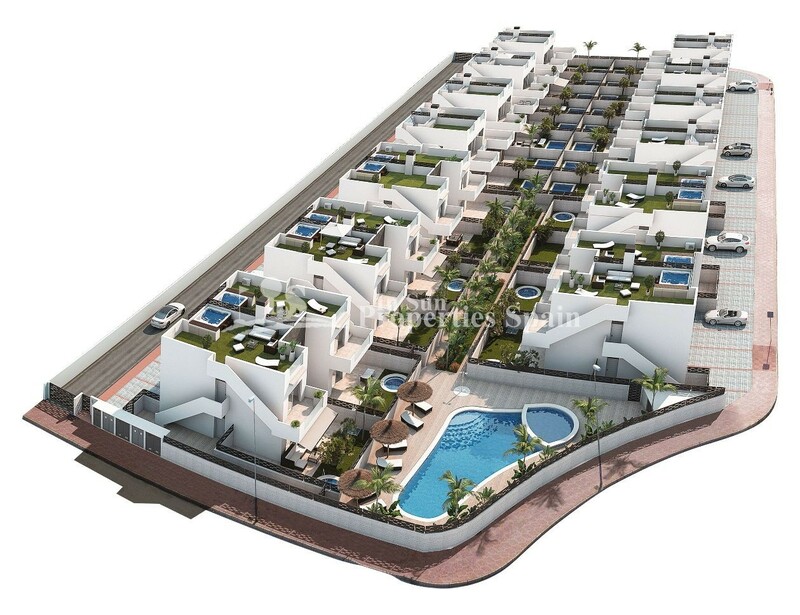 A development of 20 new Apartments (ground floor/top floor Bungalows) in the residential area of Lo Marabu, CIUDAD QUESADA/DONA PEPA. 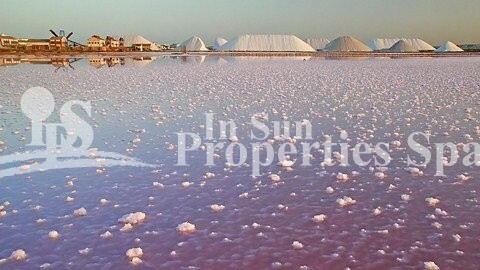 Close to the sea and inside the Natural Park of the Lagoons of La Mata. 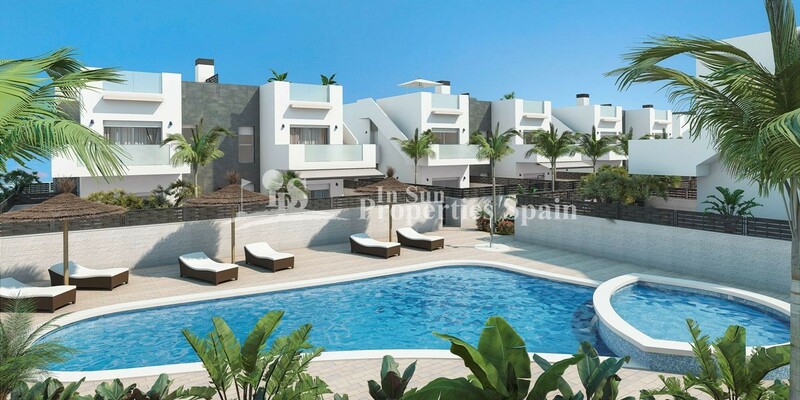 The 75m2 Apartments are set out as Ground floor with private 60´55m2 (min) garden or Top floor with private 70´05m2 solarium. They boast 2 bedrooms, 2 bathrooms and are of a modern open plan layout with modern fitted kitchen with extractor fan, fully fitted bathrooms with shower screens and complete with AC, interior and exterior lighting and electric shutters. 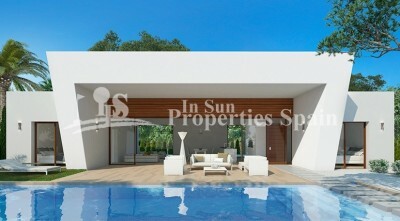 The residential has a community swimming pool and there is the option of adding a private Jacuzzi at an additional cost. Private parking. You are walking distance to a number of supermarkets, cafes, restaurants and shops. Ciudad Quesada is located approximately 8Km inland from the Costa Blanca at Guardamar de la Segura. 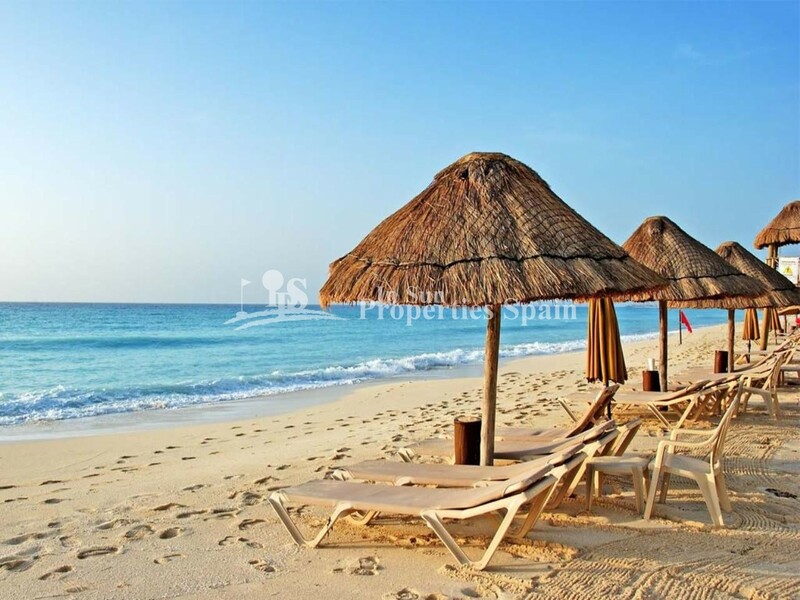 Alicante and Murcia airports are both approximately 50Km away and the nearest beach is within 10 minutes drive. The town centre of Ciudad Quesada is well provided with shops, bars, restaurants, a golf course and its own water park. There are many championship golf courses to choose from: Villamartin, Las Ramblas and Campoamor are the closest. There are many more within an hour’s drive. All making this your perfect home in the sun! Approx 30 minute drive and Alicante Airport. Delivery summer 2020.